Ramiro Cabral is vice president for Europe, Middle East and Africa at Elanco, a world leader in developing products and services that enhance animal health, wellness and performance. Today marks the 17th annual World Milk Day. Celebrated around the world, the initiative founded by the Food and Agriculture Organization of the United Nations (FAO) is about more than just milk, cows or agriculture. It marks an important moment to think about the vital role that milk and dairy products play as a source of nutrition for billions of people around the world. People all over the world over turn to milk as a key source of nutrients. As the global population is projected to surpass 9.7 billion by 2050, the number of people dependent on milk’s rich nutrients for their growth and well-being will continue to surge, making World Milk Day also an important moment to consider how innovative farming methods and policies can drive sustainability throughout the process of food production and ultimately make our world more food-secure. For our generation and those in the future, we must find innovative ways to produce more food with fewer resources. We must preserve the earth while meeting the needs of its current inhabitants. In my work, I have met countless farmers, processors and retailers involved in the dairy supply chain. We cannot forget that dairy production provides the livelihood of many people around the world and as the dairy industry changes, we need to ensure we deliver value to farmers. This will only happen if everyone in the supply chain, including consumers, works together for their mutual advantage. If we want to change the way the world sustains itself, farms and eats in 2050, we have to change our actions today. There is not one single or simple answer to making our world more food-secure. We know that the solutions we implement – from milk production and beyond – must produce more food in a manner that uses less land, water, feed and energy, all the while ensuring animal welfare. This might seem an impossible challenge with far too many variables to look at. However, working together as consumers, farmers, policy-makers, thought-leaders, businesses and activists, we can help ensure the story of our food security has a happy ending. We have seen increased awareness at the EU level of the importance of this mission, with groups like EU40 leading the charge to bring together stakeholders to make sure EU livestock management is sustainable. Their efforts to drive conversations on improving the impact of livestock on the environment and on fostering innovation and R&D funding in the livestock sector are important steps in the process. Diving into a concrete example of where this innovation can take us, the global recommended intake of milk is two glasses[iii] per day. Yet, globally, the average access to milk is hovering at about one glass per day. This simply must change and we must have a path forward. 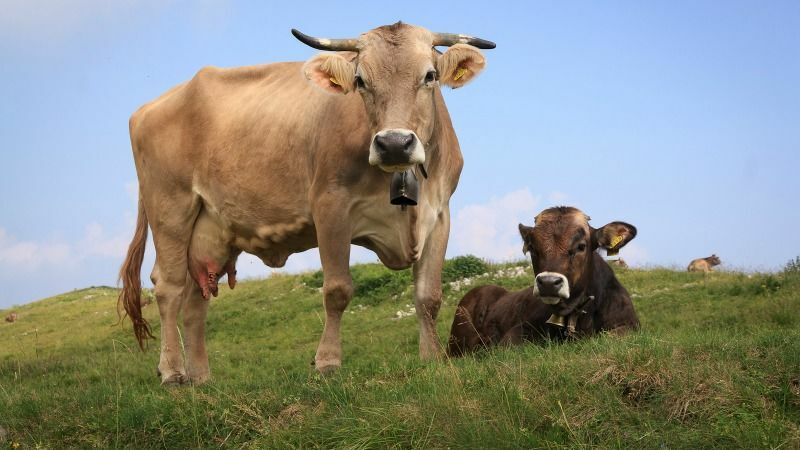 Improved approaches to cow husbandry including dairy innovation that can act on a cow’s immune system or improve its nutrient digestibility – for example – will help ensure healthy cows and thus a better and increased milk production. To ensure that milk continues to provide nutrition to the earth’s growing population, the answer isn’t more cows. Rather, it’s increased efficiency. Europe can lead the charge by implementing innovation along with a holistic legislative approach with a predictable science-based environment that enables the development and adoption of modern farming practices; and by sharing our approach with the rest of the world. [ii] EIU. The Burden of Obesity. Special Report for the Global Food Security Index 2014 and WHO. Obesity and Inequities, 2014. [iv] Cady, R. Global Food Forward Analysis. Elanco Animal Health. 2013. Data on File.